Don't you dare miss the Piedmont Park Arts festival in Atlanta! While you may have heard some buzz about the Piedmont Park Arts And Crafts festival you will want to read some of the facts that make it one of the most loved events in the greatest city in the nation! Read below for the top 8 reasons you don’t want to miss out on the fun and excitement at this great event! The Atlanta Foundation for Public Spaces will host its third annual arts and crafts festival at Piedmont Park on August 17-18 in Midtown and its full of surprises! Up to 250 artists and artisans will display their works during this two-day event along paths in the park. Plus, expect a Guinness World Record attempt presented by HoopEssence and â€œCirque du Piedmontâ€ performances by the Imperial Opa Circus on Saturday! This event consistently ranks among the regionâ€™s top art events year after year, with great attention to every detail from helping customers to supporting artists. Even the food is known as the most innovative at any southeastern art festival! The Atlanta Foundation for Public Spaces will host its third annual arts and crafts festival at Piedmont Park on August 17-18 in Midtown and it’s full of surprises! Up to 250 artists and artisans will display their works during this two-day event along paths in the park. Saturday, help us break the Guinness World Record for Longest Human Chain to Pass a Hula Hoop presented by HoopEssence and enjoy amazing circus performances by the Imperial Opa Circus! Join us Sunday for the Sunday Funday Corn Hole Tournament hosted by Monday Night Brewing Company. It’s going to be an exciting weekend of art, live music, family fun, food trucks and our Summer Craft Beer Experience. This event consistently ranks among the region’s top art events year after year. 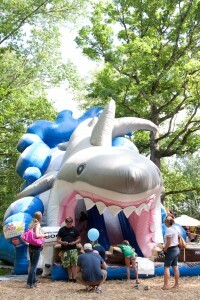 For more information about the Piedmont Park Arts Festival, please visit www.piedmontparkartsfestival.com or like us on Facebook. 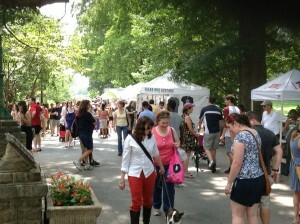 The Piedmont Park Arts And Crafts festival is a 2 day celebration with events starting soon! Events/ Activities-Visitors will enjoy a wide variety of art and crafts, a children’s area and local food and beverage concessions including the “gourmet” food trucks. Local acoustic musicians will enliven the atmosphere. Visitors will also enjoy the Guinness World Record attempt presented by HoopEssence and “Cirque du Piedmont” performances by the Imperial Opa Circus. The Atlanta Burger Crawl and Craft Beer will be ongoing throughout the weekend. Plus the “Sunday Funday Corn Hole Tournament” will be held to benefit CURE Childhood Cancer on Sunday. This event is organized by the Atlanta Foundation for Public Spaces and volunteer artists. Best of all, it’s entirely free to attend!